It’s rare that we come across a project where a space is beyond help and in dire need of a full reset. This was one of those projects! Not only was the color scheme completely off, but the bright blue bathtub was a total eyesore and quite dangerous to use. The tile floors were also outdated and clashed with the tile in the bathtub stall. The homeowner called JR Carpentry & Tile for help bringing their European-inspired dream bathroom to life. Once the final design was complete, we got straight to work. There was so much to be done! We completely gutted the entire bathroom. 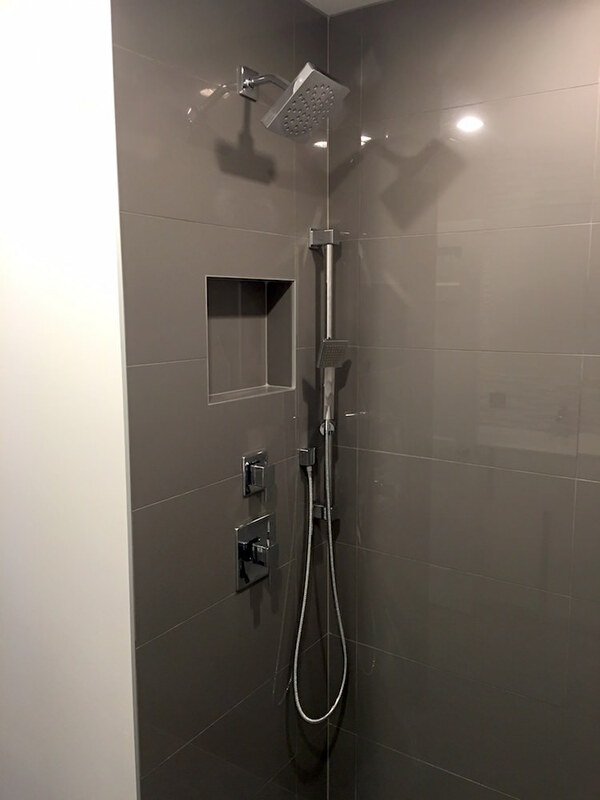 The brand new shower pan was recessed into the sub floor to allow for a curbless shower. This eliminates any danger of tripping and falling during those groggy, early morning showers. 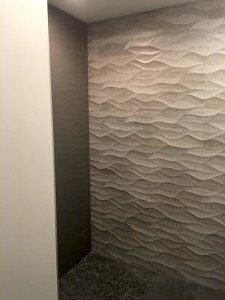 With the unsightly tile removed from the walls, we installed shiny new tiles and a three-dimensional accent wall. 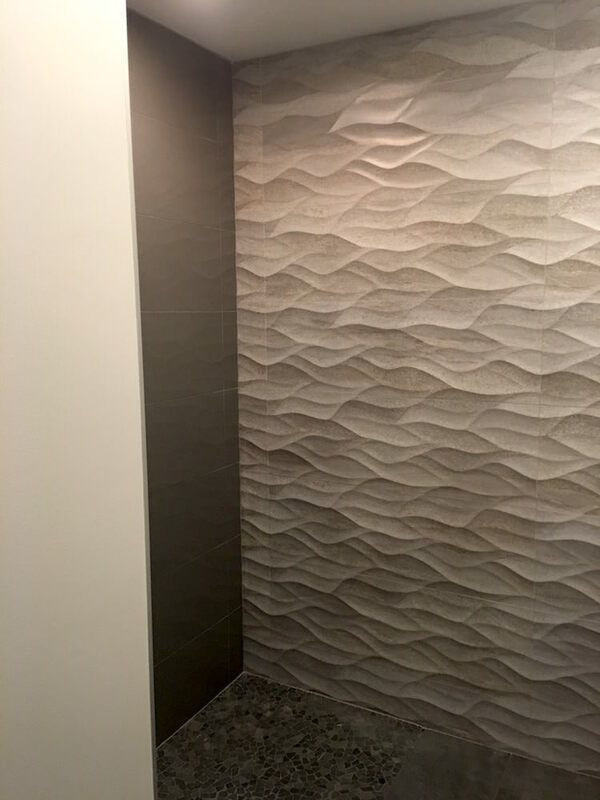 This accent wall extended beyond shower stall, creating a stunning highlight next to the chic wall-mounted toilet. Once the shower and toilet were finished, we moved on to the vanity. 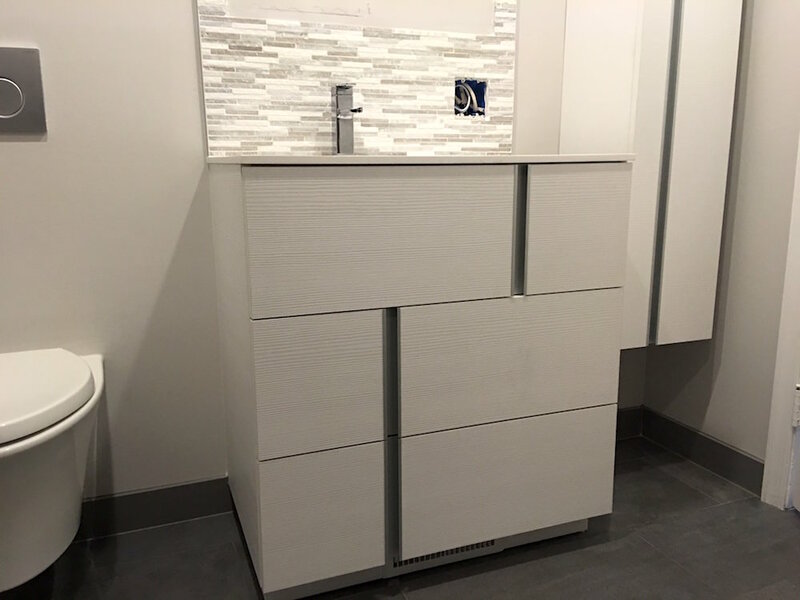 A shelving unit and matching cabinets were installed, as well as an ultra-modern sink and faucet. 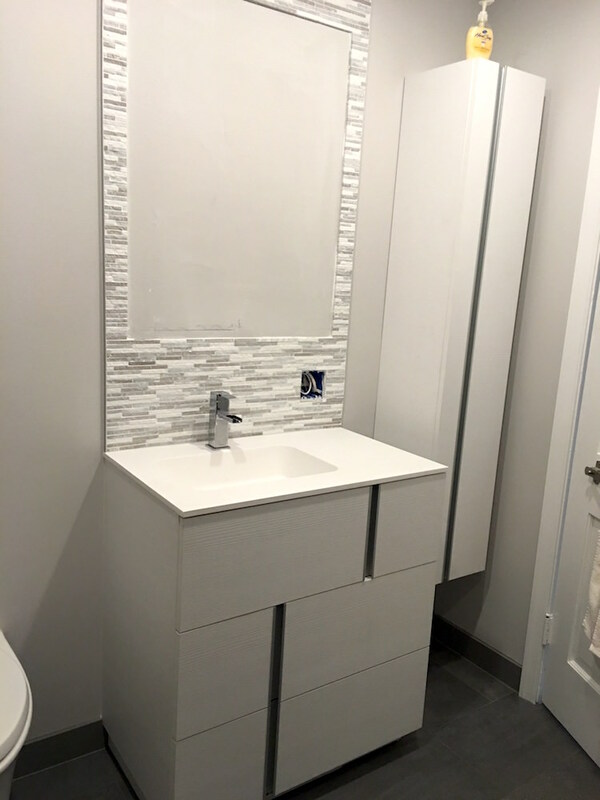 We built a custom tile accent which will frame a lighted mirror above the vanity. Anyone using this bathroom is sure to feel like a movie star! 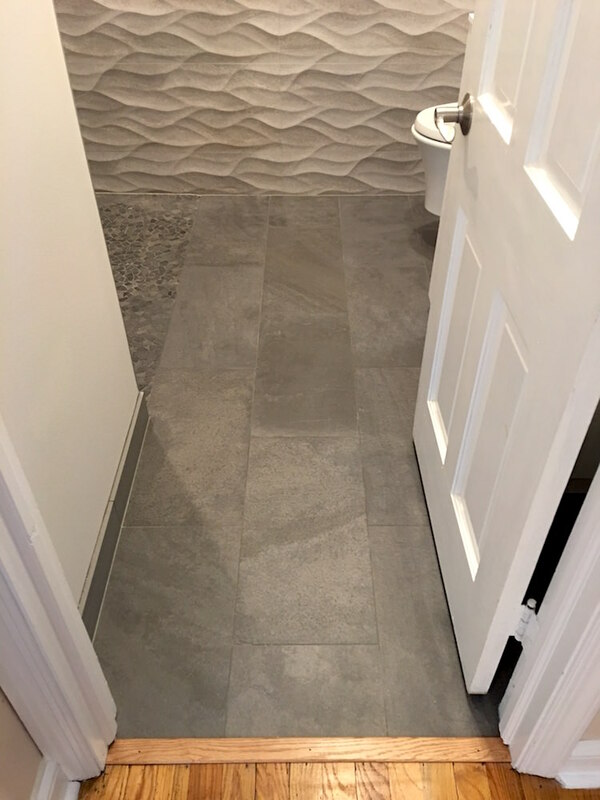 To finish the space, we installed a dark gray tile floor. 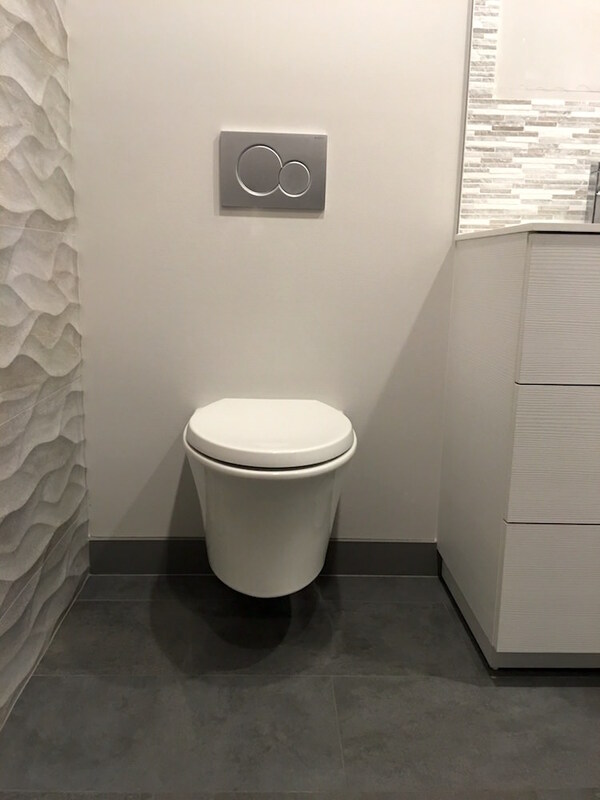 The chic, modern European look of this bathroom is stunning, and the homeowner couldn’t agree more! 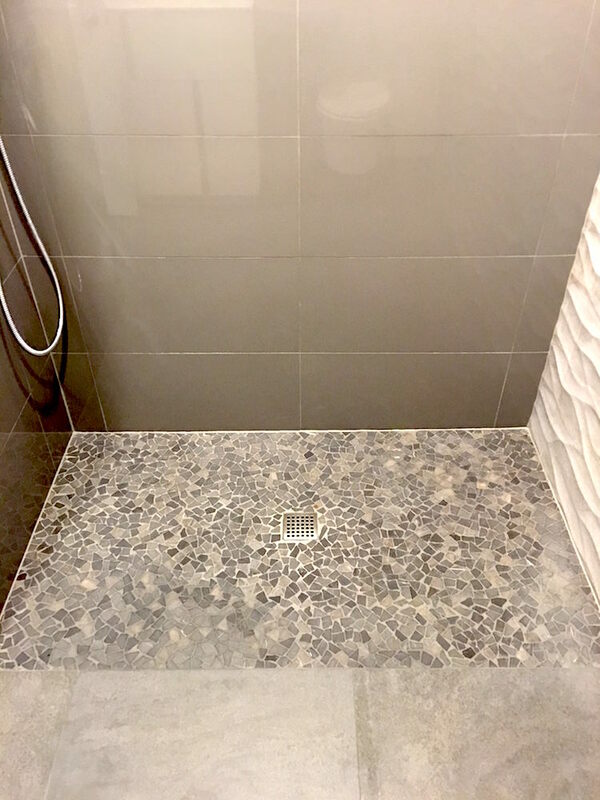 Click here for your free quote on bathroom remodeling by JR Carpentry & Tile today.